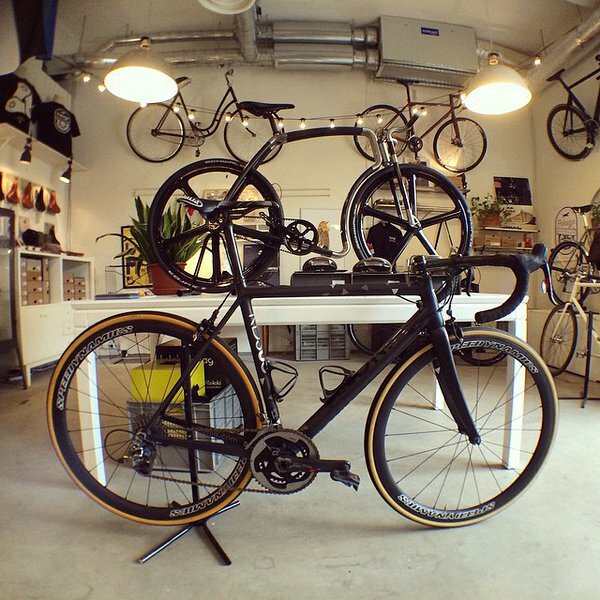 Pictured here are: carbon-framed single speed urban bicycle Viks (in the background) and a new Velonia. Both designed and made in Estonia. We will bring three Viks bikes to Italy and put them out on display in Milan on June 7th.